Connecticut will join New York and New Jersey in a lawsuit challenging the constitutionality of new federal income tax laws restricting state and local tax deductions, a change that primarily falls on a dozen states that voted against President Trump in 2016. Gov. 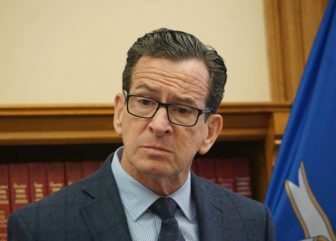 Dannel P. Malloy and his fellow Democratic governors, Andrew Cuomo of New York and Phil Murphy of New Jersey, said Friday the tax change is a political assault on blue states as well as a defiance of federalist principles that date back to the Republic’s founding. “We find the philosophy of the tax cut repugnant,” Cuomo said, adding it effectively requires 12 states that voted Democratic in the 2016 elections to finance tax relief for the wealthy in general, but also for other portions of the nation. The three governors, who are talking to other states about joining the suit, focused on new provisions that limit to $10,000 the deductibility of state and municipal taxes from earnings reported federally. The lawsuit is one of a number of tactics that states negatively impacted are studying to resist the changes. The Trump administration has been pushing back on the states’ efforts. “I hope that the states are more focused on cutting their budgets and giving tax cuts to their people in their states than they are in trying to evade the law,” Treasury Secretary Steven Mnuchin said at a Jan. 11 news briefing. The White House reacted to the threatened suit late Friday afternoon. According to IRS data, more than 700,000 taxpayers in Connecticut — which has one of the largest property tax burdens in the nation — claimed about $13.6 billion in state and property deductions on their 2014 federal returns. The average deduction nationwide in 2014 was $11,845. And Connecticut’s chief tax official, Department of Revenue Services Commissioner Kevin Sullivan, said in December that the aggregate claim here now is closer to $16 billion. But despite charges of partisan motivations for the tax changes, Murphy said the lawsuit — which the governors anticipate filing in a court still to be determined in the coming weeks — is hardly symbolic. “We believe substantively there is a very strong case,” he said. The governors rooted their arguments in the U.S. Constitution’s equal protection clause, and also principles of federalism that date back to the nation’s founding. Citing the nation’s first income tax, a provisional levy enacted in 1862 to help finance the Union effort during the Civil War, Cuomo said that all state and local taxes first were deducted from the new federal tax obligation. Restricting deductions of state and local taxes — which pay for core services such as education and public safety — not only would be a form of double taxation, but is akin to the federal government dictating how states should spend in these key areas, the three governors argued. “This is anathema to us as a nation,” Malloy said. Northeast states also spend more on services for reasons other than affluence they said. For example, winter weather requires greater spending on environmental and transportation programs, and the relatively older populations in Connecticut, New York and New Jersey require more specialized support programs. Advocates for the federal tax changes have argued that there are middle- and lower-income households that will benefit from these changes, even in states like Connecticut. Households that don’t own property, and probably don’t itemize deductions, are the chief example. But the three governors countered that everyone ultimately will be harmed, particularly in the blue states, as federal tax changes worsen the nation’s deficit, weaken property values and undermine the U.S. economy. The three governors also said they continue to explore other options to resist the federal tax changes. One that has been explored has been the concept of a new state payroll tax. The way it would work is this: Companies would reduce workers’ pay by the amount of their state tax liability and the employer, not the individual, would pay it to the state. Since companies are not limited like individual taxpayers by the new federal tax code’s cap on the deductibility of state and local income taxes, the companies would not lose any money under this arrangement. Meanwhile, because the worker never received the money, he or she would not have to pay taxes on it. 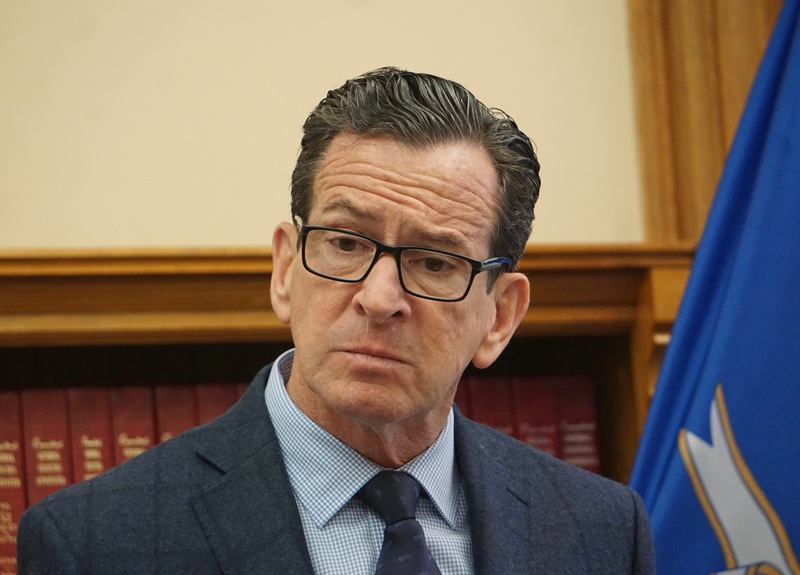 Malloy did not say whether he would recommend a payroll tax when he presents his next budget to the General Assembly on Feb. 7. “We will speak to those actions we can take when we roll out the budget,” he said. U.S. Sen. Richard Blumenthal, D-Conn., a former state attorney general, applauded the plans for litigation, but he cautioned that the states are unlikely prevail on their initial demand for a preliminary injunction. “The issues are certainly valid to raise. They are serious and important,” Blumenthal said. The impact of the tax changes clearly were discriminatory, hitting blue states the hardest, he said. Capitol Bureau Chief Mark Pazniokas and Washington correspondent Ana Radelat contributed to this report.